Considered as the most coveted zip code in the entire Philippines, there are quite a lot of reasons why most aspiring homeowners would want a Makati condo. As a very much sought-after address, the myriad of reasons for living in Makati would practically be endless insomuch that it is regarded as the country’s premier and highly desirable address. Apart from the bragging rights, it affords its residents from getting to live in the city where the pinnacle of economic progress is most evident, Makati also ensures that residents get to live in lush convenience with their needs and wants adequately met. In this regard, a condo in Makati is pretty much the most in-demand piece of real estate in the Philippines. Considered as a highly urbanized city in Metro Manila Philippines, Makati is slated to be the leading financial hub of the country. Apart from having the highest concentration of multinational and local corporations in the country, Makati’s shopping scene is also known to be saturated with foreign retail brands intermingled with local stores. More importantly, major banks, corporations, department stores as well as foreign embassies are all based in Makati. Not to mention that the biggest trading floor of the Philippine Stock Exchange is situated along the city’s Ayala Avenue further highlighting its strategic position in terms of economic progress. That, in conjunction with the city being considered as the epicenter of entertainment and a known cultural hub, would indeed contribute to the appeal of owning a condo in Makati. Etymologically speaking, the city’s moniker came from the Tagalog word “kati” which is not to be misinterpreted for the world itch, but would rather refer to the Tagalog word tide. It has been said that the city’s name referred to the tide of the Pasig River which is located to the North of Makati City. Other tales have also recounted a different version wherein a Tagalog person sitting at the edge of the swamp on the south of the Pasig River was once asked by a visitor (who happened to be Miguel Lopez de Legazpi) for the name of the place. Unfortunately, due to a language barrier, the query was consequently misinterpreted and led the Tagalog person to point out the receding tide of the Pasig river and answered, “Makati, kumakati na” (Ebbing, the tide is ebbing). A historical tidbit that is quite interesting to know for a prospective place of residence for aspiring homeowners who wish to have a Makati condo. Today, those who are living or are planning to live in a condo in Makati might refer to the “kati” or tide as the tide of progress that one can evidently see in whichever parts of the booming city. Today, most aspiring homeowners are looking for something that gives them ease of access as well as the convenience they deserve. In a fast-paced world, no one wants to spend time wasting away in traffic just to get from one point to another which is why neighborhoods and residential settlements who have pretty much everything in proximity have a rather heightened appeal to prospective homebuyers. With this in mind, a Makati condo would rank quite high in the list of most eligible home addresses. In fact, there are several reasons why you a condo in Makati would make for a good and sound investment apart from considered as an excellent place to settle down together with your family. To start with, living in Makati is synonymous to living in opulence and sophistication. In fact, a Makati condo might be considered as the Philippine counterpart of a Beverly Hill’s residential address. After all, the city is pretty much considered as the melting pot of Philippine’s most elite and powerful individuals. Indeed, a condo in Makati would significantly transform one’s quality of life—especially if you are inclined to have a decent and convenient mode of living. More importantly, the prestigious address of a Makati condo does not only guarantee that every comfort imaginable would be at your disposal, but it also ensures that you get to live a lifestyle of convenience as well. There has never been any question that living in condo units has reshaped modern living and defines contemporary residential settlements. Today, most potential homebuyers—particularly those with families who are always on-the-go would prefer diminutive spaces with maximized functionality that are relatively low-maintenance as compared to residential homes that require too much upkeep. Apart from that, real estate in high-demand areas such as Makati would be priced at a premium insomuch that it would be so much more economical to invest in a Makati condo rather than a house in a neighborhood. With all that considered, it would seem that a condo in Makati is so much preferable than a residential townhouse in this regard. Makati, known to be one of the pioneering cities in business growth and advancement, would consequently have more than its fair share of top-quality condo developments. After all, real estate developers would flock to developing their residential projects in one of the leading business districts in the country. More importantly, as the location is one of the key considerations most homeowners would have when it comes to choosing a condo, it should come as no question that the city would be rife with Makati condos. In this regard, wherever you might choose to have a condo in Makati, you will practically have limitless options in your hands. 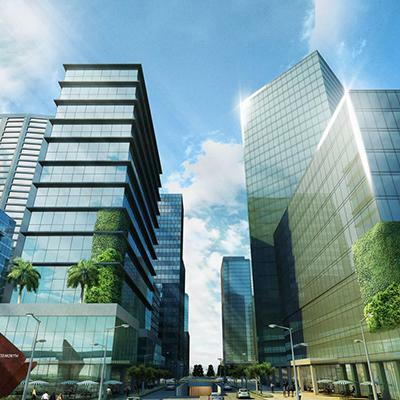 Properties and residential communities such as Callisto would be perfect for an individual looking to live in Makati. Having a Makati condo pretty much means having a myriad of companies and industries within your proximity insomuch that you might never even need to commute another day of your life again. This is because Makati is saturated with multinational companies, corporations, and industries. In fact, it is the very presence of these companies that would make a condo in Makati such a compelling place to live. Just ask anyone who has ever tried renting a condo in the city and they would tell you how incredibly convenient it is to have your office a few steps away from home. Living smack dab in the center of where most workplaces are would address the seemingly never-ending traffic problem of the city. With a Makati condo such as the ones offered in Callisto, you get to live in proximity to your workplace which would negate the need for commuting. Regardless of which condo in Makati you might choose—whether that may be in Callisto or elsewhere, security remains as a paramount consideration. In this regard, you can expect Makati condos to provide only the best in security and safety to their homeowners insomuch that they can rest easy at night knowing that their welfare and their family’s welfare are given high priority. Furthermore, Makati has constantly awarded as the richest city in the Philippines which consequently means that the local government is given better leverage in distributing its resources to care for its residents’ welfare. With this in mind, a Makati condo would be synonymous to a safe haven and an excellent sanctuary to aspiring homeowners looking for residential property. Furthermore, Makati imposes strict traffic rules which have been quite effective in mitigating the likelihood of overly long traffic delays. 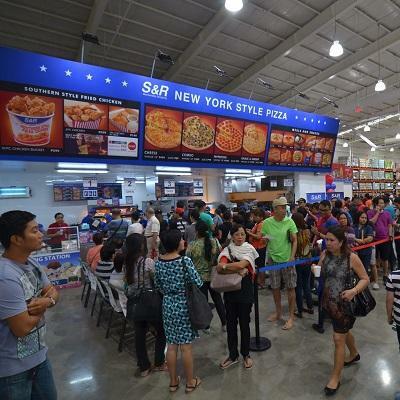 More importantly, it has been considered as one of the safest places to live in Metro Manila insomuch that one would not need to constantly keep watch over their shoulder when they are walking in busy streets. 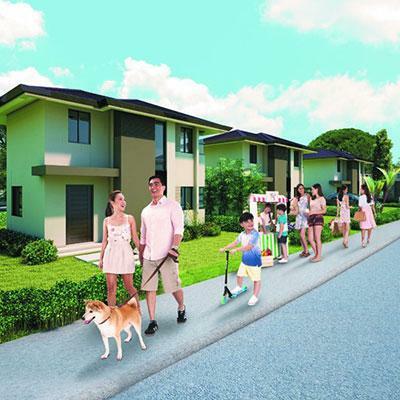 A condo in Makati would give homeowners a sense of community—regardless of whether they choose to live in Callisto or elsewhere. On the surface, it might seem that Makati, being the center of city progress and the like, would simply be a cosmopolitan city with residents who have nothing but business and money in their minds. However, beneath the veneer of a perpetually busy lifestyle, one can readily see that a sense of community resonates in each and every individual in the city. With this in mind, having a Makati condo subsequently means having this sense of community for yourself. More importantly, it gives you a sense of oneness in the neighborhood. Business districts might have this reputation for being off-putting and impersonal, but that is not the case in Makati. Beneath the steely façade, you would find that a Makati condo might be all you need to have a sense of what a thriving community is like. Communities are hip, trendy and neighborhoods such as the one in Callisto would make for ideal residences for either young professionals who are looking for the perfect place to mingle and socialize or families who wish to settle down. Furthermore, having a condo in Makati is an avenue to new experiences. Getting to live in a Makati Condo such as Callisto would mean discovering hole-in-the-wall restaurants, exploring pubs littered along the streets and immersing yourself in the kind of nightlife the city offers. In this regard, a Makati condo is taken to mean a world of possibilities then. There is no doubt that Makati has one of the tallest skyscrapers in the Philippines. More importantly, it seems to be the pioneering city when it comes to contemporary architecture and modern design. In this regard, you can expect a Makati condo—whether from Callisto or elsewhere—to be leading in design in terms of architecture and aesthetics. Contemporary, modern, classic and even bespoke designs can be found in this bustling city insomuch that even your condo in Makati would already seem like an architectural phenomenon on its own. One of the most compelling reasons for having a lofty address such as the neighborhoods in Makati is having a touch of exclusivity to your residences. Prestige aside, exclusivity means that you get perks and benefits others might not have. A Makati condo, for example, such as the one in Callisto would guarantee you convenient access to the shops and establishments located within the heart of the business district. Furthermore, the city promises a variety of more premium properties and commercial centers that would soon be within your reach with a condo in Makati. A condo in Makati ensures that you would not only have ease of access to your workplace, but it also means having access to just about everything you might ever need. The city’s wide selection of restaurants, the proliferation of nightclubs and bars, weekend markets, verdant parks with lush greenery as well as the finest medical facilities and top-tier schools, owning a condo in Makati might just be the best decision you will ever make in your life. Callisto is a residential community that provides compact spaces in sync with your every move. In this regard, a unit in Callisto would be a Makati condo that would suit your lifestyle’s needs. The condominium property and development rises at the core of unique lifestyle and entertainment concepts located within Circuit Makati. Needless to say, it allows urban dwellers to live, work, play in a single and dynamic setting allowing them to thrive better. Callisto is composed of retail spaces at the lower ground floor. In this regard, it has redefined convenient and effortless city living insomuch that its residents would not need to venture far just to satisfy their retail needs and wants. Furthermore, units in Callisto provide for maximum space as the 430 residential units span an area of 2461 square meters giving its residents quite a lot of legroom for all sorts of activities. A condo in Makati would already open you up to a world of possibilities on its own. But a unit in Callisto guarantees you a lot more. Apart from being located in proximity to almost everything, Callisto is equipped with indoor and outdoor amenities to suit the modern and contemporary lifestyle. Swimming pools, a play area for children and an outdoor lounge are all available for the use and enjoyment of residents. Meanwhile, a library, as well as a fitness gym and a game room are all available to the homeowners. The units in Callisto are a good mix of studio, one-bedroom, two-bedroom and three-bedroom units. In this regard, condo units would range anywhere from 25 square meters to 214 square meters making Callisto a befitting property for young professionals and families alike. Furthermore, units are designed with the homeowners in mind. In this regard, one can expect that each unit is designed with spatial efficiency as well as flexibility to enable homeowners to customize their space as they see fit.